Come join us for the next ‘Leadership Junction’, a quarterly meetup for anyone who has an interest in being a better leader. You may lead an organization, a project or maybe just yourself……we are all leaders. 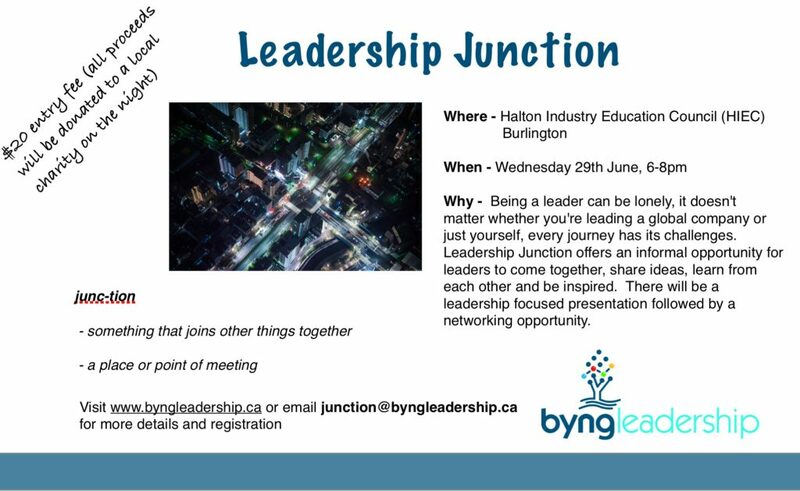 The evening will include a brief presentation on a leadership topic and will be followed by an opportunity to discuss and network with fellow leaders. Refreshments will be provided.